"On Christmas morning, 1964, I was the happiest boy on Evergreen Terrace. I'd asked for, and receive, my dream Christmas present: a reel-to-reel tape recorder! Over the next several months I hid out in my bedroom and played with the tape recorder constantly. 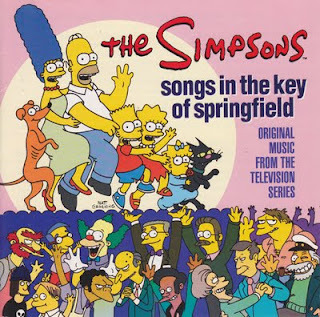 Inspired by my dad's Stan Freberg records, I made my own Matt Groening Show -- 'starring Maaaaaaaatt Groening, and featuring the Matt Groening Orchestra and the Matt Groening Singers and Dancers!' (Simpsons fanatics will note the almost word-for-word homage in the 1988 catoonlet 'The Bart Simpson Show' on The Tracey Ullman Show.) I sang my own theme song ('Matt Groening, Cool Guy'), acted out jungle adventures, and performed stand-up comedy routines, complete with canned laughter and applause. I forced my sisters, Lisa and Maggie, to listen to my tapes all the time, rewinding and replaying the good parts while they sat there patiently, barely rolling their eyes. I was about as insufferable as a ten-year-old can be. My other tape project was a compilation of my favorite TV-show themes on one reel. Over the next couple of years, sitting on the floor in the rumpus room with a hand-held mike next to the big Zenith, I built up quite a collection, featuring themes to such shows as The Flintstones, The Beverly Hillbillies, Branded, Green Acres, Astro Boy, Rocky And His Friends, My Mother The Car, and Milton The Monster. I also recorded my favorite TV-commercial jingles, including those for Pepsodent, Salem cigarettes, and Brylcreem. I'd like to think I was fascinated by the well-crafted arrangements, peculiar lyrics, and general absurdity of this TV music, but the truth is I thought these little ditties were catchy as hell. When I was a teenager, I discovered soundtrack music. I fell in love with the Spaghetti-Western scores of Ennio Morricone, the Alfred Hitchcock soundtracks of Bernard Herrmann, and the Federico Fellini film music of Nino Rota. This was music that messed with my head, altered my mood, and dragged me out of my teenage disgruntlement. The stuff still works on me to this day. It turned out all this taping and listening wasn't just time-wasting distraction -- it was preliminary research. In 1989, with The Simpsons as a full-fledged TV series in the works, I was able to utilize all those years of musical foolishness. From Rocky And His Friends I learned that you can make a great cartoon show even with lousy animation. (You just need top-notch writing, voices, and music.) From an interview with Mel Brooks, I learned from his observation that soundtrack music in comedies should play the underlying emotion, not the joke. An inspired by that old tapes of TV themes I recorded in the '60s, I knew I wanted to get that feeling of bubbling-over-optimism-tinged-with-frantic-desperation. The trend in TV themes for the previous 15 years had been this namby-pamby synthesizer schlock, modest in both ambition and execution. These noodly, ersatz-sentimental themes all seemed to whimper, 'We can't offer much, but please like our pathetic little show!' I wanted a big, fully orchestrated, obnoxious, arrogant theme that promised you the best time of your life. We approached Danny Elfman, whose career I'd been following since I saw him perform as the leader of The Mystic Knights Of The Oingo Boingo (best described as an avant-garde Cab Calloway-on-Mars vaudeville ensemble) at the Whisky-a-Go-Go on the Sunset Strip in the late '70s. Elfman had recently composed the soundtrack to Pee-wee's Big Adventure, and I knew he'd be perfect. I gave Elfman what I called a 'flavors' tape, featuring the kind of sound I wanted for The Simpsons theme. The tape included The Jetsons theme, selections from Nino Rota's Juliet Of The Spirits, a Remington electric shaver jungle by Frank Zappa, some easy-listening music by Esquivel, and a teach-your-parrot-to-talk-record. In the ensuing eight-and-counting seasons of The Simpsons, Alf Clausen has handled almost all of the music you hear on the show. He's done a phenomenal job with the writers' odd musical requests, particularly when you realize how fast Alf has to churn this stuff out. This album is a showcase for Alf, featuring some of his finest and funniest work. I think of his music as the secret strength of The Simpsons, delivering the jokes, for sure, but also the real emotion underlying the comedy. And all for a TV cartoon!" 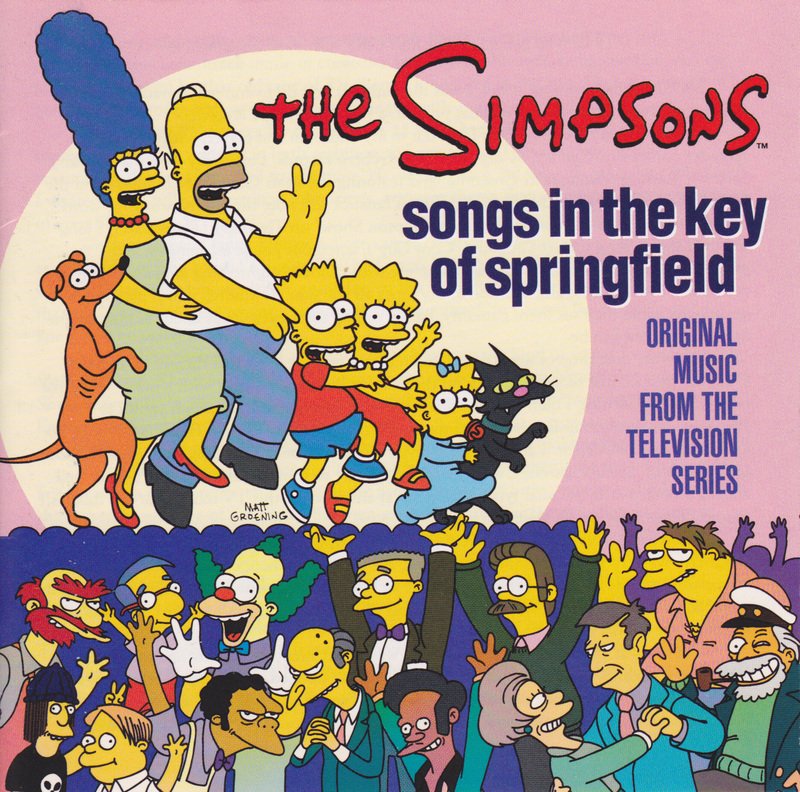 Ladies and gentlemen, for your listening pleasure, The Simpsons. Matt Groening wrote one of the earliest books on the Residents.